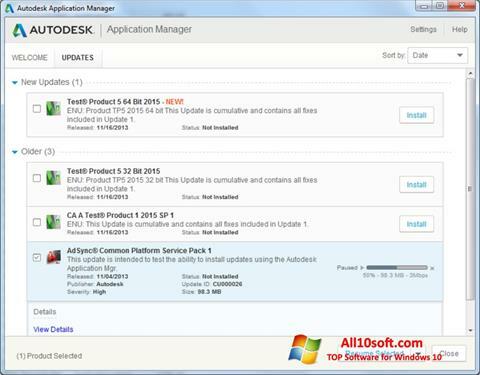 Autodesk Application Manager for Windows 10 - A utility to update installed autodesk applications. The software product is a component manager that functions when connected to the Internet, allows you to download and install new versions selectively or automatically. The functionality of the utility includes settings for the frequency of checking for updates, selecting a temporary folder for downloading and setting the display of pop-up messages. Autodesk runs in the background, consumes minimal system resources and supports batch update. You can free download Autodesk Application Manager official latest version for Windows 10 in English.